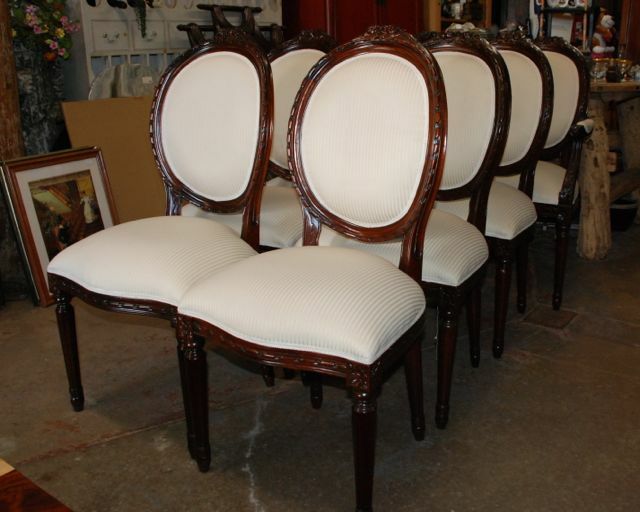 This is a set of 8 solid mahogany hand carved french style chairs that we have. 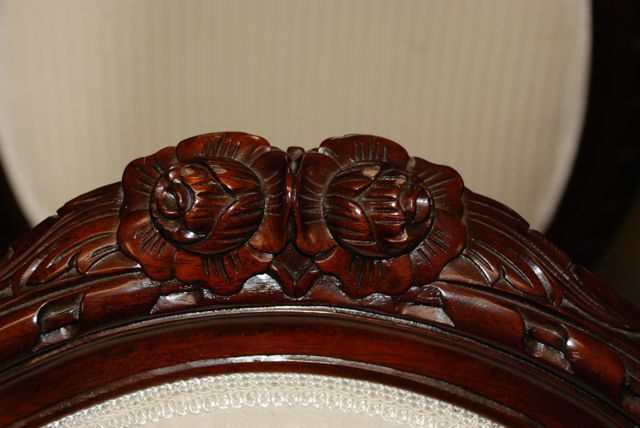 They are new and have beautiful carved roses on the back with carving around the seats. They have delicately turned legs and the upholstery is a off white striped fabric. They would be a great addition to any dining room. 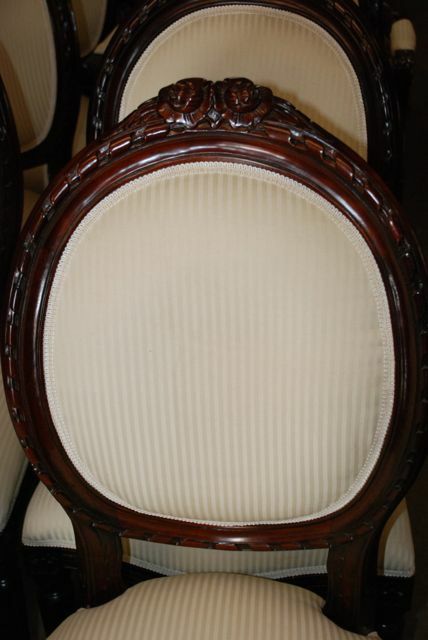 They are on sale for a great price of $1200 for the set of 8.